Jura has revealed its first dedicated range exclusively for global travel retail, which introduces a ‘new signature style’ for the single malt. The Jura Sherry Cask Collection is a range of four whiskies, named after features of the distillery’s island home, which have been matured in ex-Bourbon barrels before being finished in Pedro Ximénez casks. The PX casks used have each held Sherry for varying amounts of time, and have subsequently impacted the Jura whisky’s flavour in different ways. The first bottling in the Sherry Cask Collection, The Sound, has been finished in casks previously containing 15-year-old PX Sherry. Bottled at 42.5% abv it is said to have notes of caramel fudge and forest fruits, and will be available for £45 for a one-litre bottle. The Road is a 43.6% abv malt finished in casks once containing 20-year-old Sherry, and is described as having notes of apricots, coffee and cinnamon. It will be available for £60 for one litre. The Loch has been finished in casks previously containing 30-year-old PX. Bottled at 44.5% abv, it is said to have notes of baked apple, treacle and black pepper, and will be on sale for £70 for a 70cl bottle. Lastly, The Paps is a 19-year-old whisky finished in casks that once held 40-year-old PX Sherry, and bottled at 45.6% abv. At £85 for a 70cl bottle, it forms the pinnacle of the range. 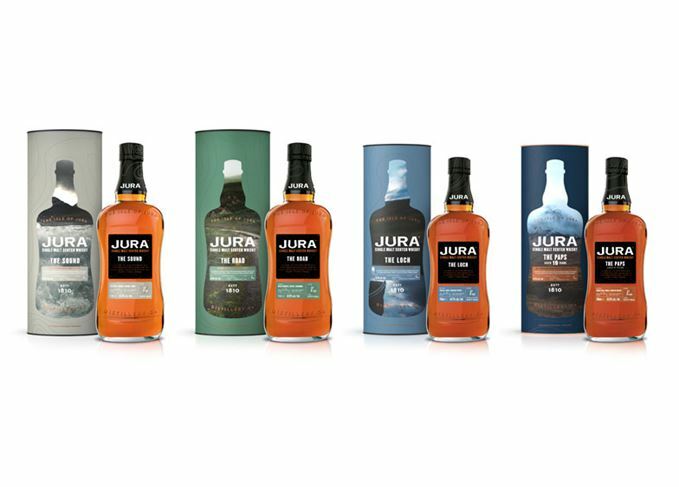 Kirsteen Beeston, global head of brand for Jura, said: ‘Jura has been making real headway in the travel retail channel and we felt the time was right to commit more focus here and create a dedicated exclusive range. Each expression will be presented in a taller, ‘more elegant’ bottle, and will be available in global travel retail outlets from April 2018.